(Macao, Nov. 16, 2017) – In an effort to continually improve the work environment for its team members, Sands China Ltd. signed a new occupational safety and health charter at a press conference and signing ceremony Thursday at Sands® Cotai Central. The company also took the opportunity to announce the latest results of its innovative My Way horizontal development programme for team members. As the largest operator of integrated resorts in Macao, Sands China has always considered its team members as its most valuable asset. The company’s new Occupational Safety and Health Charter fosters further collaboration between employers and employees, promotes a safe and healthy working environment, and establishes a comprehensive occupational safety and health management system. The company’s occupational safety and health measures include a 24-hour team member medical clinic, a 24-hour Employee Assistance Programme, and seminars, training courses and workshops. To date, there have been more than 66,000 participants in various occupational safety and health training courses organised for team members by the company and the Labour Affairs Bureau (DSAL). 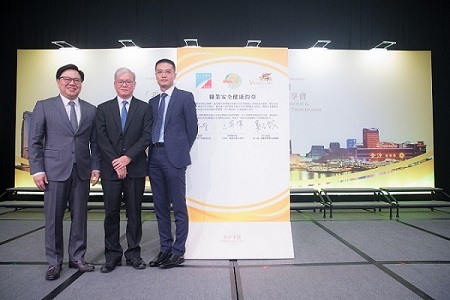 The charter was signed Thursday by Dr Wilfred Wong on behalf of Venetian Macau Limited and its subsidiaries, and by Gordon Ng, executive director of facilities for The Parisian Macao, on behalf of the employees of Venetian Macau Limited and its subsidiaries, witnessed by Director of DSAL Wong Chi Hong. 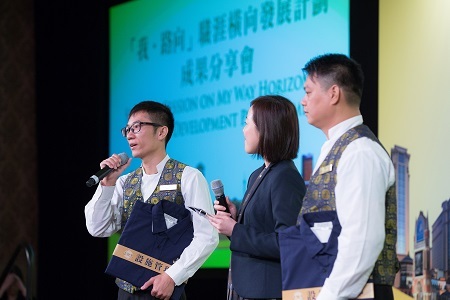 As the first large-scale horizontal career development initiative of its kind in Macao, the My Way programme is the result of a systematic, cross-departmental effort. Unlike standard work transfers, My Way equips participating team members with a diverse integrated resort skill set, offering them an abundance of opportunities to try new fields and positions for a set period of time and find the ones most suitable for paving their career paths. It nurtures local talent across a variety of fields while enhancing the core competencies of the company and developing talent in integrated resort management. To date, My Way and other Sands China’s career development programmes have already provided horizontal career mobility opportunities to over 2,000 team members. My Way focuses on six key departments: facilities, food and beverage, hotel operations, business development, housekeeping and security. Now two years into the programme, My Way has seen positive results. In the area of facilities, 320 dealers have already completed all training and examination requirements to become qualified facilities technicians. 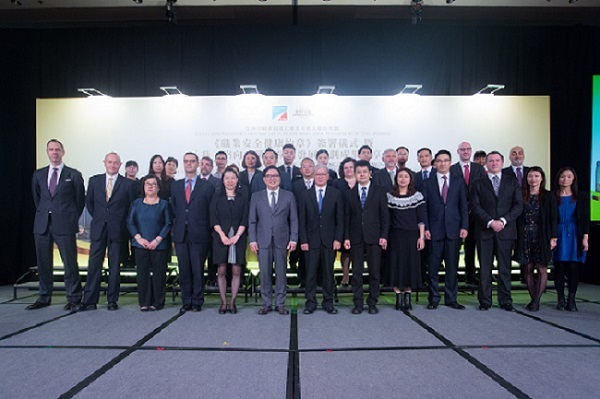 More than 240 among them will officially transfer to facilities management in the near future, demonstrating the success of this horizontal career development programme. On Thursday, guests of honour presented four team members from the My Way programme with new facilities uniforms, representing their new skill sets. The event also included two team members sharing their experiences in the programme. 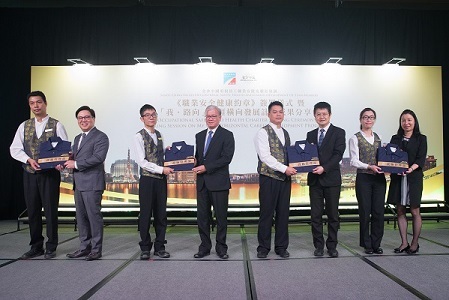 They spoke about having acquired additional skills which allow them to have two skill sets benefiting their career development, noting how this is unique in Macao as it is different from traditional work transfers. Guests of honour at Thursday’s event were Wong Chi Hong, director of the Labour Affairs Bureau; Zuo Xianghua, director of the Economic Affairs department of the Liaison Office of the Central People’s Government in Macau SAR; Chan Ioc Sut, head of the Research and Investigation department of the Gaming Inspection and Coordination Bureau (DICJ); and Dr. Wilfred Wong, president of Sands China Ltd.
Sands China Ltd. representatives sign a new occupational safety and health charter at a press conference and signing ceremony Thursday at Sands Cotai Central. Guests of honour at the My Way Horizontal Development Programme Results Announcement event present four team members from the programme with new facilities uniforms, representing their newly acquired skill sets. Two team members share their experiences in the programme.